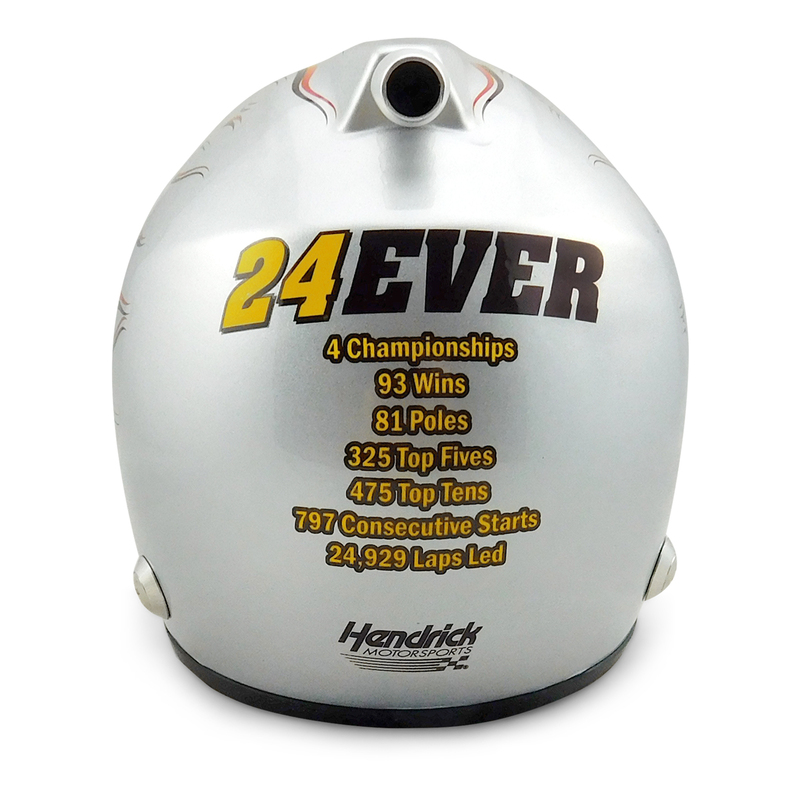 This special career commemorating #24Ever Homestead Mini Replica Helmet is something you don’t want to miss. 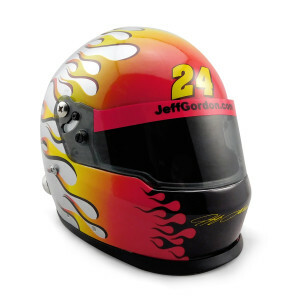 The helmet commemorates Jeff’s career stats behind the wheel of the #24 with his championships, wins, poles, top fives, top tens, consecutive starts and laps led listed on the back of the helmet. This is a new and improved replica helmet design that features a vent pipe on top of the helmet. 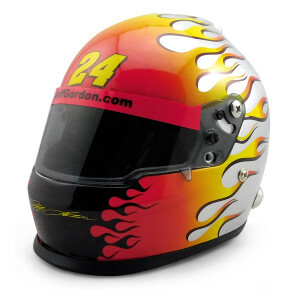 This item is available for pre-order and will ship in late September 2016 (subject to change).